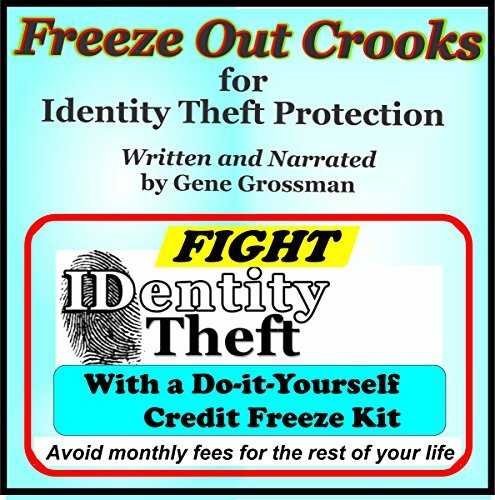 This audiobook fully discusses fighting identity theft and the value of placing a Credit Freeze on your credit report so that it cannot be accessed by any unauthorized person trying to get credit on your behalf. The Credit Freeze became California law in 2003, and the other states followed suit shortly thereafter, and in the author's opinion, one of the most important sections of that legislation states that in the case of an address change, the written confirmation shall be sent to both the new address and to the former address. That means if an identity thief is attempting an unauthorized use of your identity by changing your mail address so that he or she will receive your credit statements, a copy of that request must also be sent to the old address so that you will also receive a copy of it, be aware of the attempt, and put an immediate stop to it. Other benefits of a Credit Freeze are also fully described, and contend that instead of a consumer subscribing to one of the commercial services heavily advertised and paying fees of up to $29.95 per month for the rest of one's life, excellent protection can be obtained by requesting a Credit Freeze to be placed onto access to one's credit report at the country's three main credit-rating bureaus, for a one-time fee of around 10 dollars, and there is a one organization that has designed a complete do-it-yourself kit for that purpose, containing pre-printed forms addressed to all three of the credit bureaus, full instructions on filling out the forms, window envelopes to mail them, and a file folder to hold credit files and related information. This service eliminates problems consumers encountered in locating proper mailing addresses and customer support telephone numbers of the three bureaus, plus the proper format in providing the required personal information, and in full disclosure, the author is a principal in the organization providing that service.